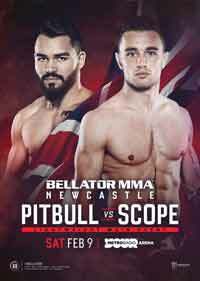 Review by AllTheBestFights.com: 2018-09-21, pretty good fight between Patricky Freire and Roger Huerta: it gets three stars. The black belt in Bjj Patricky ‘Pitbull’ Freire entered this fight with a record of 19-8-0 (68% finishing rate) and he is ranked as the No.7 lightweight in the world (currently the #1 in this division is Dustin Poirier). 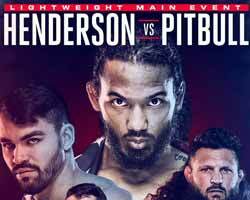 Patricky Pitbull lost to Michael Chandler in 2016 (Chandler vs Freire 2) but then he has beat Josh Thomson (Thomson vs Freire), Benson Henderson (Benson Henderson vs Patricky Freire) and Derek Campos (Patricky Freire vs Derek Campos 2). His opponent, Roger Huerta, has an official record of 24-10-1 (71% finishing rate) and he entered as the No.270 in the same weight class. He lost to Benson Henderson in April, but before this bout, in 2017, he had won over Adrian Pang and Hayder Hassan. 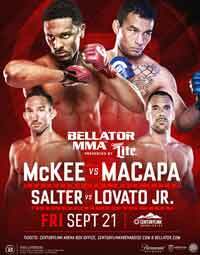 Pitbull Freire vs Huerta is on the undercard of AJ McKee vs John Teixeira da Conceicao – Bellator 205. Watch the video and rate this fight! Review by AllTheBestFights.com: 2018-02-16, some good exchanges between Patricky Freire and Derek Campos 2 but it is not enough to get three stars: it gets two. The black belt in Bjj Patricky ‘Pitbull’ Freire entered this fight with a pro mma record of 18-8-0 (67% finishing rate) and he is ranked as the No.7 lightweight in the world (currently the #1 in this division is Eddie Alvarez). Patricky Pitbull lost to Michael Chandler in 2016 (Chandler vs Freire 2) but he came back to win in 2017 defeating Josh Thomson (Thomson vs Freire) and Benson Henderson (Benson Henderson vs Patricky Freire). His opponent, Derek Campos, has an official record of 19-6-0 (58% finishing rate) and he entered as the No.24 in the same weight class. He suffered two consecutive losses in 2015, against Michael Chandler (Chandler vs Campos) and the rematch with Brandon Girtz, but then he has won four bouts beating Derek Anderson (Anderson vs Campos) and taking revenge on Girtz (Derek Campos vs Brandon Girtz 3). 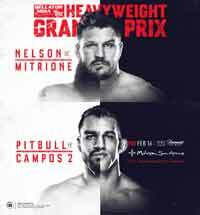 In their first fight Freire had beat Campos in two rounds (April 18, 2014 Patricky Freire vs Derek Campos); this second bout is on the undercard of Roy Nelson vs Matt Mitrione 2 – Bellator 194. Watch the video and rate this fight! Review by AllTheBestFights.com: 2017-09-23, disappointing fight between Ben Henderson and Patricky Freire: it gets two stars. The black belt in tae-kwon-do, Bjj and former Ufc Lw champion Benson Henderson entered this fight with a professional mma record of 24-7-0 (54% finishing rate) and he is ranked as the No.9 lightweight in the world. He fought three times in 2016 losing to Andrey Koreshkov (=Koreshkov vs Henderson) and Michael Chandler (=Chandler vs Henderson) but between these two losses he beat Patrício Freire (=Henderson vs Freire). His opponent, the black belt in Bjj Patricky Freire, has an official record of 17-8-0 (71% finishing rate) and he entered as the No.24 in the same weight class. Patricky Pitbull also lost to Michael Chandler last year (=Chandler vs Freire 2) but he came back to win in 2017 with Josh Thomson (=Thomson vs Freire). Benson Henderson vs Patricky Freire is the main event of Bellator 183. Watch the video and rate this fight! Review by AllTheBestFights.com: 2017-02-18, Josh Thomson vs Patricky Freire gets three stars only thanks to a good finish. The black belt in Brazilian jiu-jitsu and former Strikeforce Lw champion Josh Thomson entered this fight with a mma record of 22-8-0 (73% finishing rate) and he is ranked as the No.31 lightweight in the world. He lost three consecutive bouts between 2014 and 2015, the last one against Tony Ferguson (=Thomson vs Ferguson), but then he has won over Mike Bronzoulis (=Thomson vs Bronzoulis) and Pablo Villaseca (=Thomson vs Villaseca). His opponent, Patricky Freire (black belt in Bjj as well), has an official record of 16-8-0 (69% finishing rate) and he entered as the No.40 in the same weight class. ‘Pitbull’ fought three times last year winning over Ryan Couture (=Freire vs Couture) and Kevin Souza (=Freire vs Souza) but then he lost to Michael Chandler (=Chandler vs Freire 2). Patricky Freire vs Josh Thomson is the main event of Bellator 172 (on the original fight card the main event was Fedor Emelianenko vs Matt Mitrione but the American has forced to withdraw from the bout due to ill health). Watch the video and rate this fight! Review by AllTheBestFights.com: 2016-06-24, spectacular finish between Michael Chandler and Patricky Freire: it is very close to get four stars! The former Bellator champion Michael Chandler entered this fight with a pro mma record of 14-3-0 (86% finishing rate) and he is ranked as the No.17 lightweight in the world. He lost three consecutive bouts between 2013 and 2014, the last two against Will Brooks (=Chandler vs Brooks I and Brooks vs Chandler II), but then he has won two bouts beating David Rickels in his last one (=Chandler vs Rickels 2). His opponent, the black belt in Brazilian jiu-jitsu Patricky Freire, has a record of 16-7-0 (69% finishing rate) and he entered as the No.28 in the same weight class. ‘Pitbull’ lost to Derek Anderson in 2015 (=Freire vs Anderson 2) but he came back to win in 2016 defeating Ryan Couture (=Freire vs Couture) and Edimilson Souza (=Freire vs Souza). 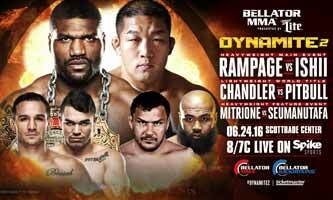 In their first fight Chandler had beat Freire by unanimous decision (May 14, 2011 – Chandler vs Freire I); this second bout is valid for the Bellator lightweight title and is on the undercard of Quinton Rampage Jackson vs Satoshi Ishii – Bellator 157. Watch the video and rate this fight! Review by AllTheBestFights.com: 2016-04-16, boring fight between Patricky Freire and Kevin Souza: it gets one star. The black belt in Brazilian jiu-jitsu Patricky Freire entered this fight with a professional mma record of 15-7-0 (73% finishing rate) and he is ranked as the No.31 lightweight in the world. He lost to Derek Anderson last year (=Freire vs Anderson 2) but he came back to win in 2016 beating Ryan Couture (=Freire vs Couture). His opponent, Edimilson Souza, has an official record of 15-4-0 (93% finishing rate) and he entered as the No.52 featherweight but he comes off the loss against Chas Skelly. 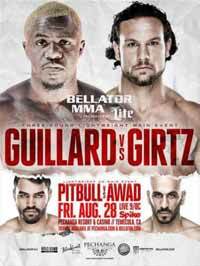 ‘Pitbull’ Freire vs Souza is the main event of the Bellator 152. Watch the video and rate this fight! Review by AllTheBestFights.com: 2016-01-29, Patricky ‘Pitbull’ Freire vs Ryan Couture gets three stars thanks to a good finish of the fight. The black belt in Brazilian jiu-jitsu Patricky Freire entered this fight with a professional record of 14-7-0 (71% finishing rate) and he is ranked as the No.47 lightweight in the world. He fought twice last year beating Saad Awad (=Freire vs Awad) but then he lost to Derek Anderson (via split decision, Freire vs Anderson 2). His opponent, Ryan Couture, has a mma record of 10-3-0 (70% finishing rate) and he entered as the No.98 in the same weight class. He suffered two consecutive losses in 2013, but then he has won four bouts defeating Dakota Cochrane in his last one (=Couture vs Cochrane). 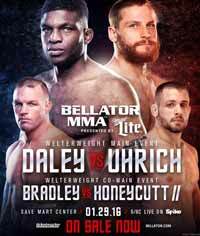 ‘Pitbull’ Freire vs Couture is on the undercard of Paul Daley vs Andy Uhrich – Bellator 148. Watch the video and rate this fight! Review by AllTheBestFights.com: 2015-12-04, close fight with some nice exchanges: Patricky ‘Pitbull’ Freire vs Derek Anderson 2 gets three stars. The black belt in Brazilian jiu-jitsu Patricky Freire entered this fight with a pro record of 14-6-0 (71% finishing rate) and he is ranked as the No.37 lightweight in the world while his opponent, Derek Anderson, has an official mma record of 12-2-0 (92% finishing rate). 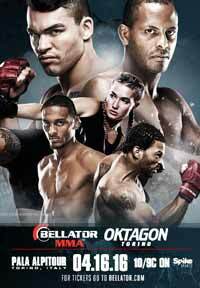 In their first bout Anderson defeated Freire by unanimous decision (September 7, 2013, Freire vs Anderson I); this second fight is on the undercard of Josh Thomson vs Pablo Villaseca – Bellator 147. Watch the video and rate this fight!